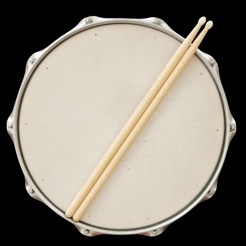 Drum Kit is the simplest way to make your own beats. Now anyone can play the drums. No experience required. Start playing along to your favorite songs immediately. 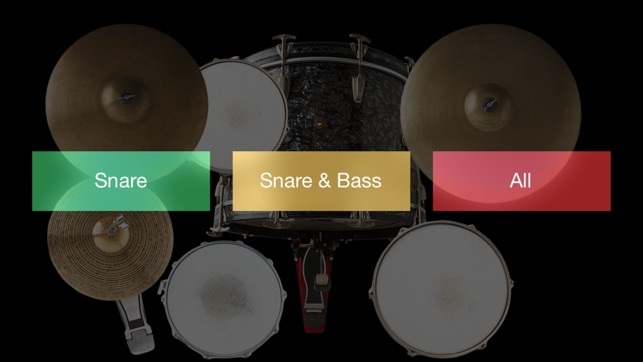 The best drum app in the App Store just got better. 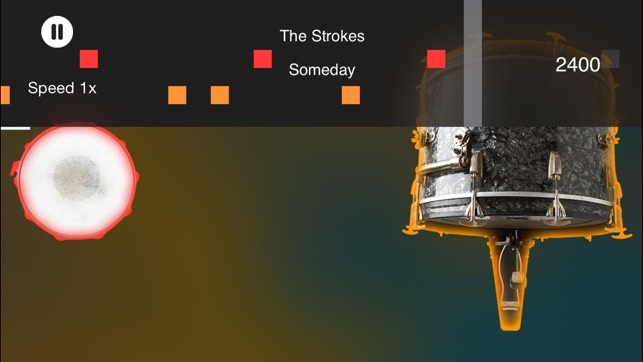 Here's the long awaited sequel to Drum Kit. It's the closest thing to becoming a drummer without actually having a real kit. 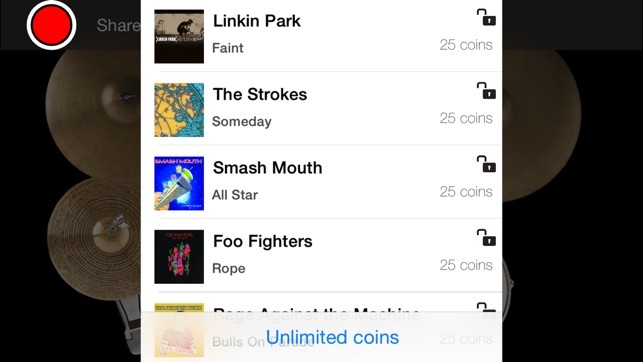 You can just tap to create your own beats, or you can play along to dozens of popular songs. It's super easy to use. The kit is a classic 4-piece kit with bass drum, snare, floor tom, hi-hat, crash cymbal, and ride cymbal. The hi-hat plays open, closed, and pedal sounds depending on where you tap. The drums animate and the bass drum pedal moves when touched. 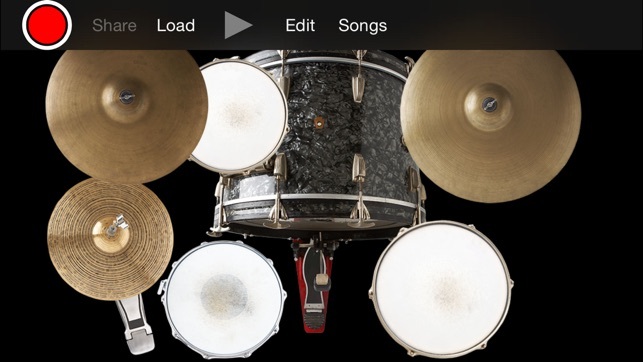 Drum Kit simulates the most realistic drum playing experience on the App Store. 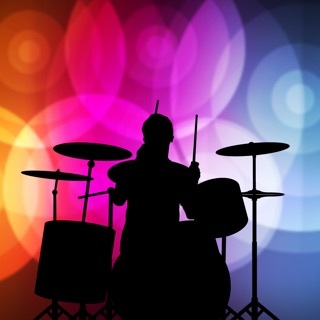 Drum Kit is designed to be as responsive as possible and uses professionally recorded, high quality sounds. It is completely multi-touch and has very low latency. Use it to crank out some beats on the train or play a fill after a punchline. 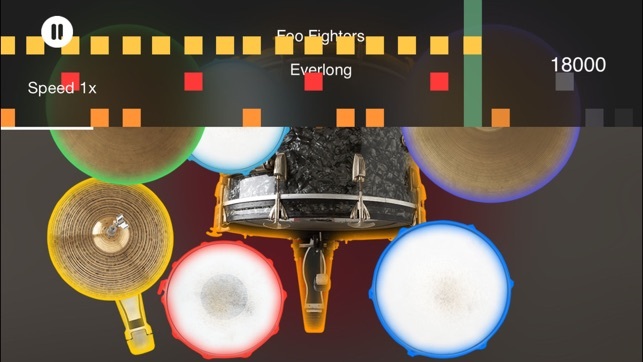 The photorealistic drums and animations make it feel like you're playing a real kit. Plug into headphones or speakers for a much richer sound experience. pretty good, but has some flaws. I like this app. It's free, under 50MB (as I only have access to 3G) and I love the hip hop drum. I have a few things that bug me. 1. I can't record anything I play. It says you can, but I can't find a record button at all. 2. It crashes a bit. Not too often, but in the half hour I've spent playing it it has crashed five times. It's mildly annoying, but it isn't too bad. 3. Sometimes it becomes unresponsive. Usually right before/after it crashes. Ps this is the longest review I've EVA written!!!! I previously posted a comment regarding the previous version of the app, which has now been update to work on current iOS versions. It's simple and great, download it, 5 stars.